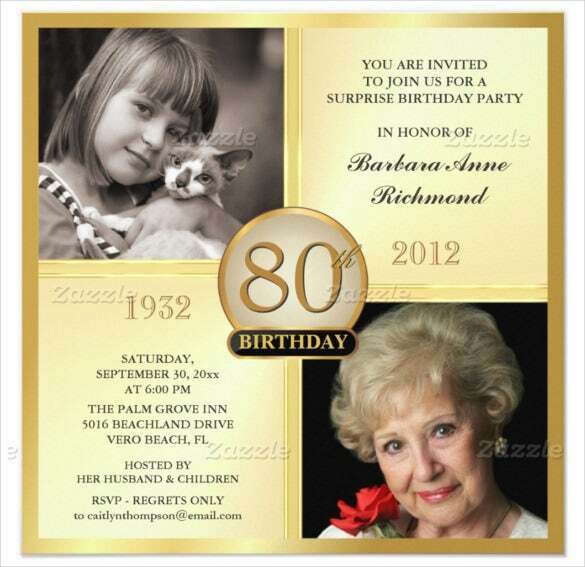 Planning to rejoice birthday of your grandmother/grandfather? 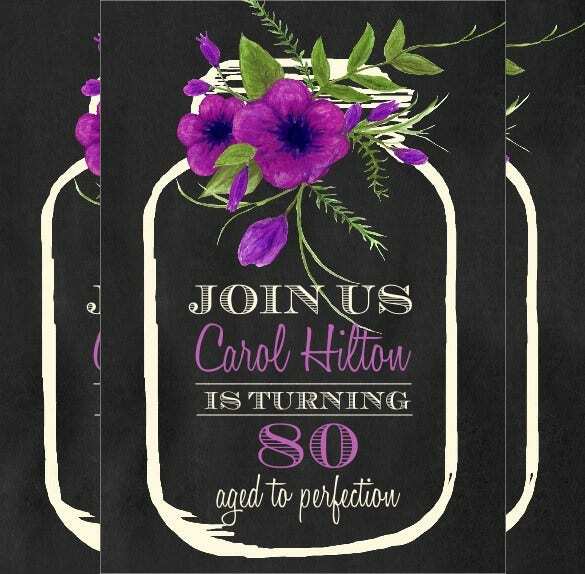 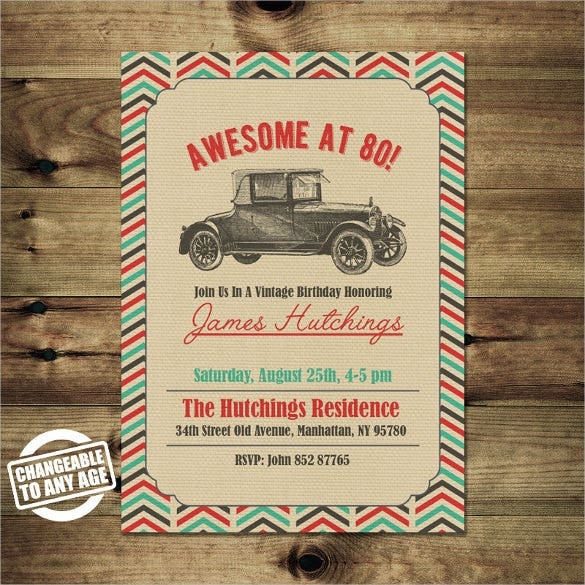 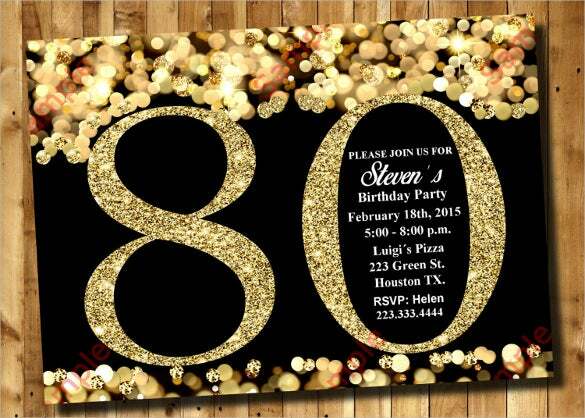 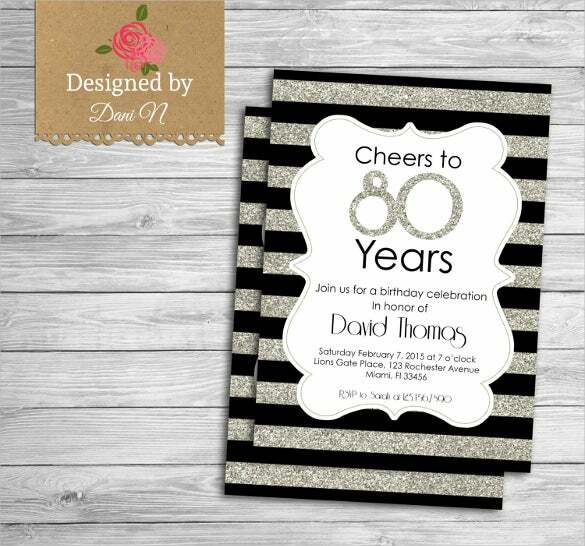 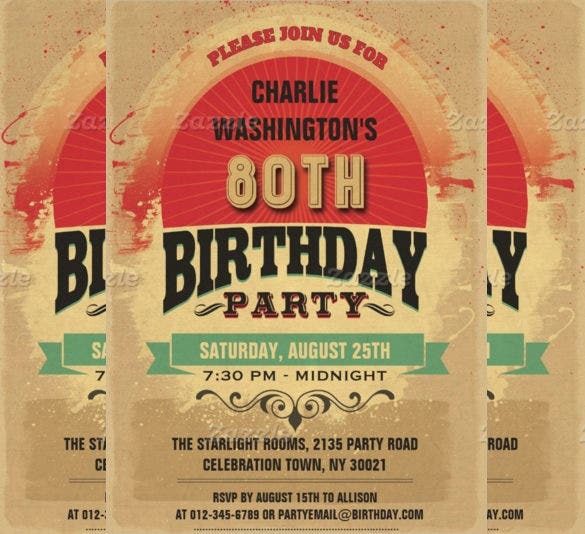 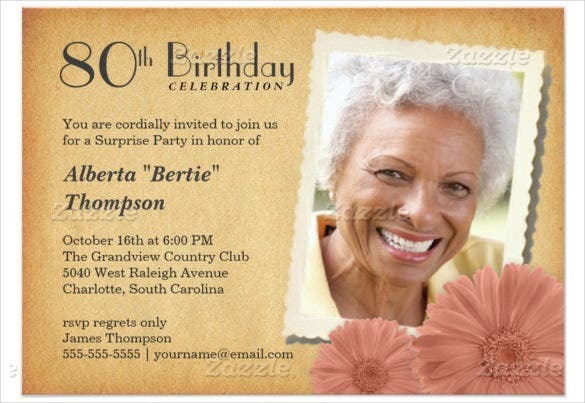 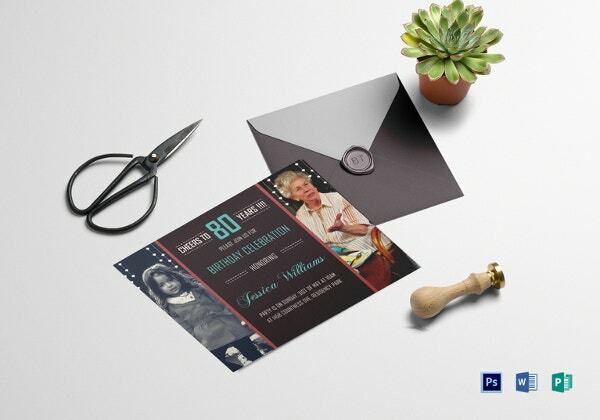 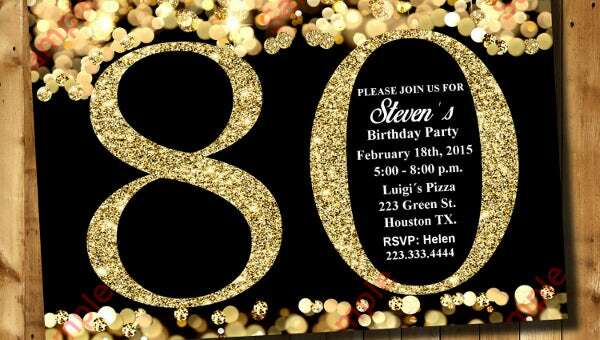 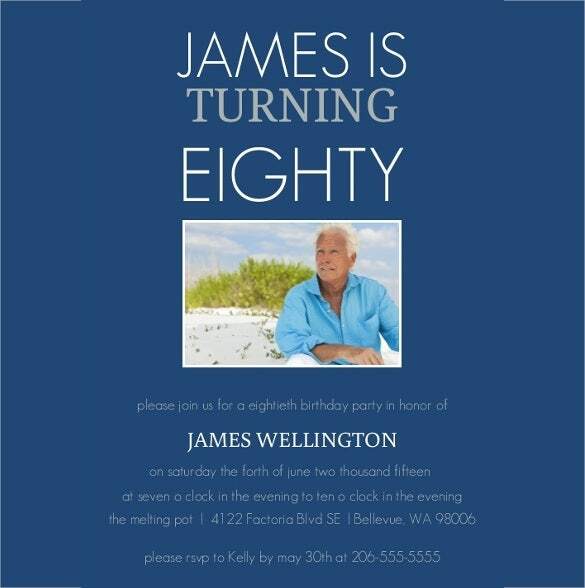 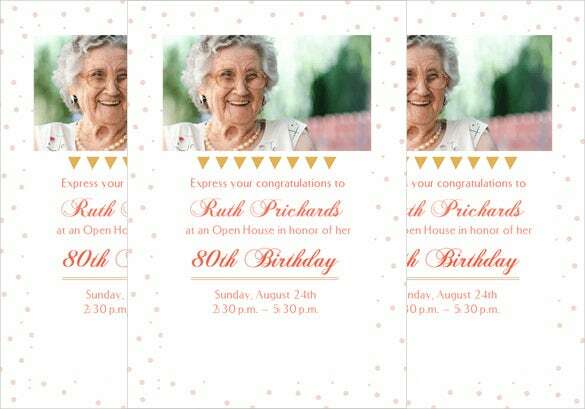 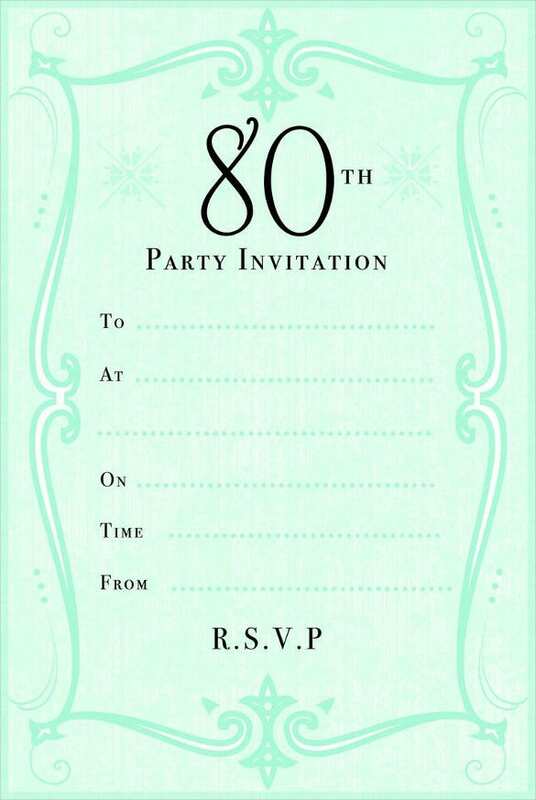 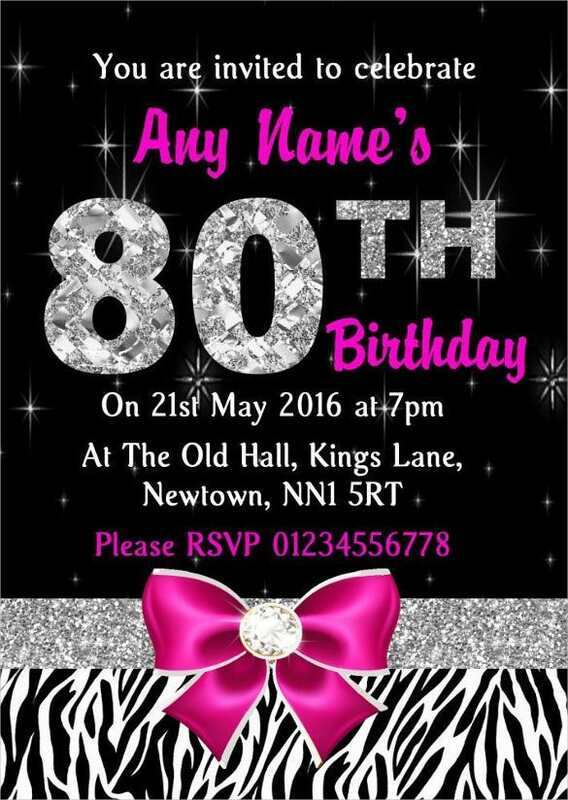 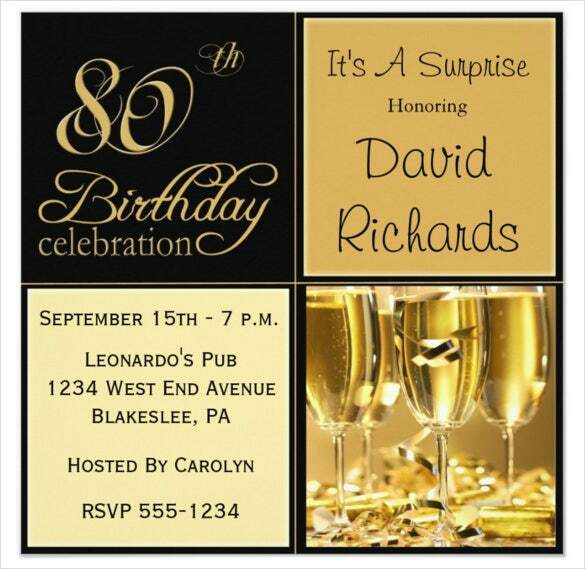 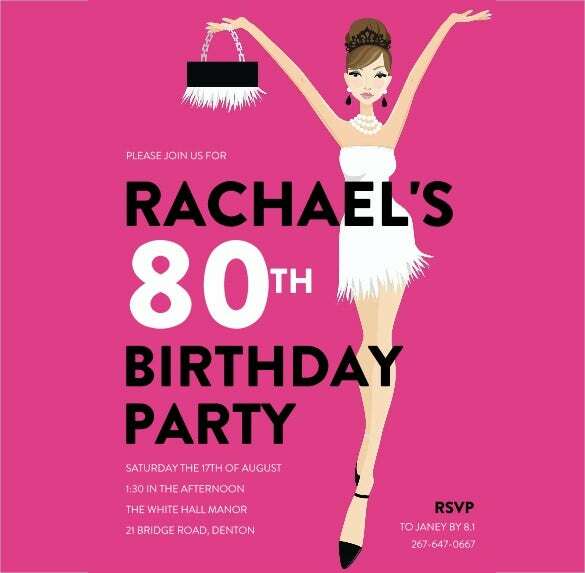 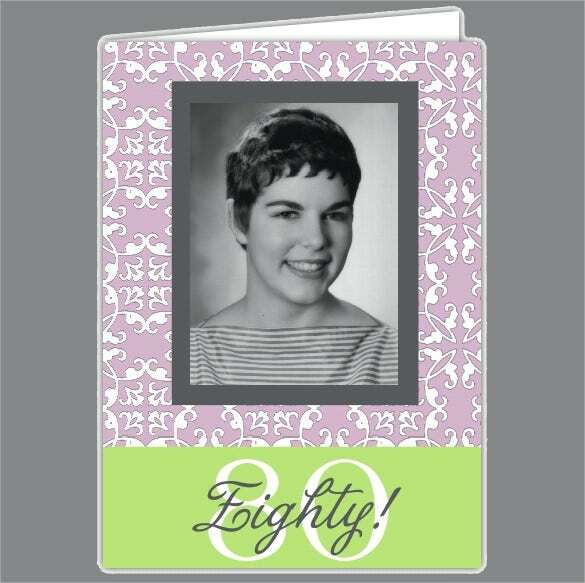 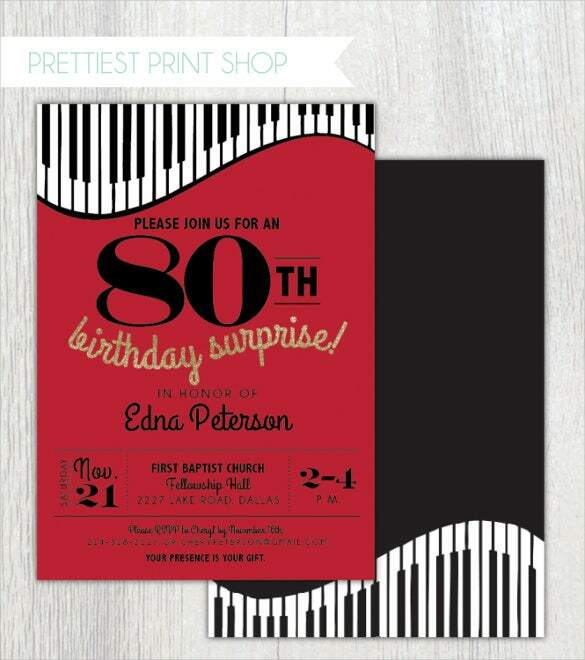 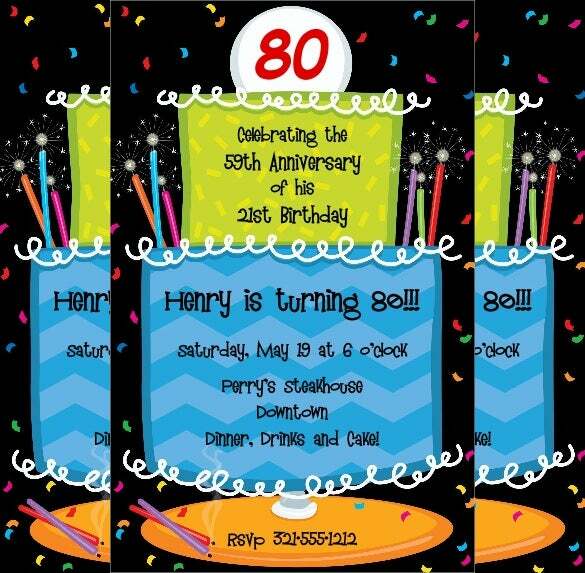 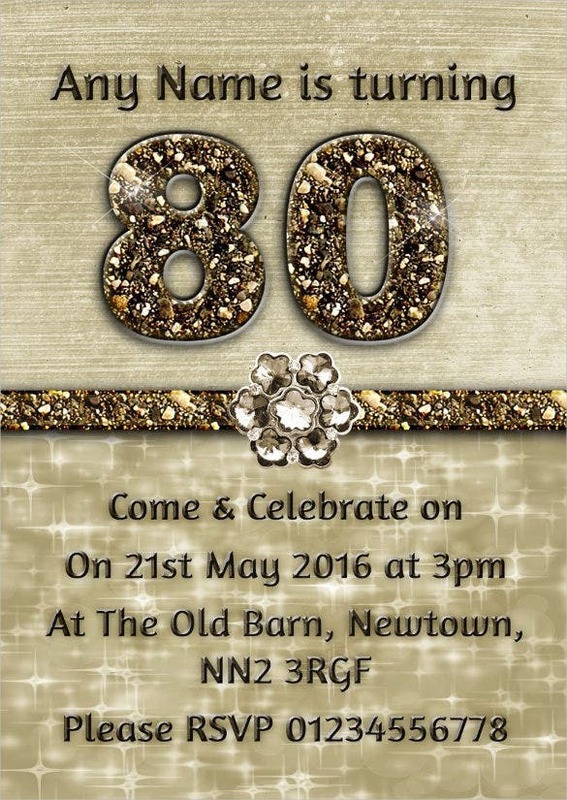 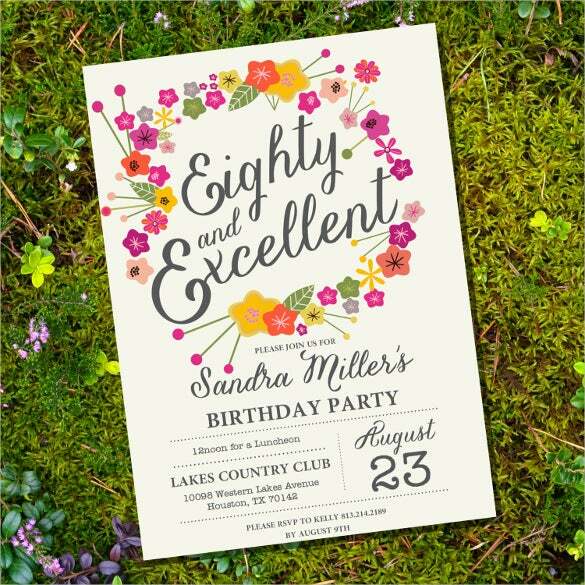 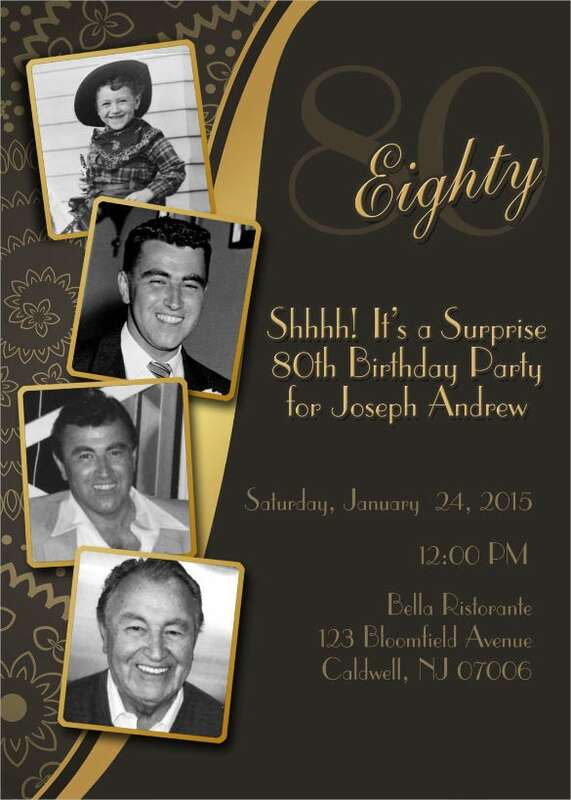 No worry, 80th birthday invitations of your loved grandmother/grandfather would become a unforgettable event full of love and cheer. 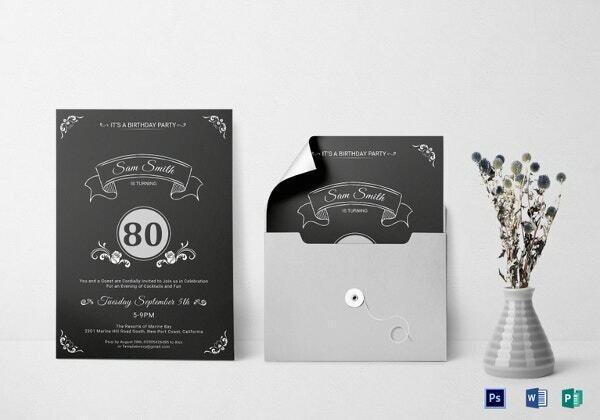 You can easily create a nice ambiance with beautiful innovative thoughts that would earn real time admiration. 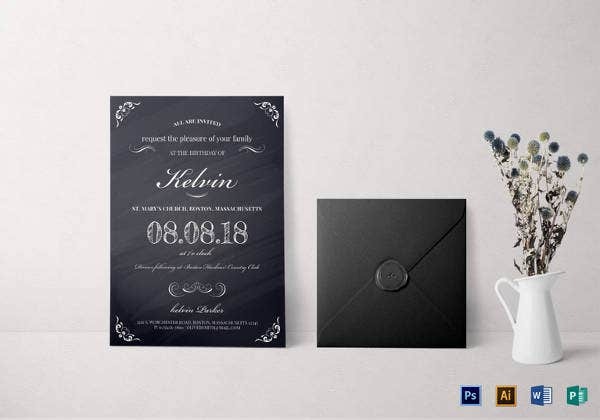 You can find out some exclusive sample designs, which would help you to come up with an exclusive outlook. 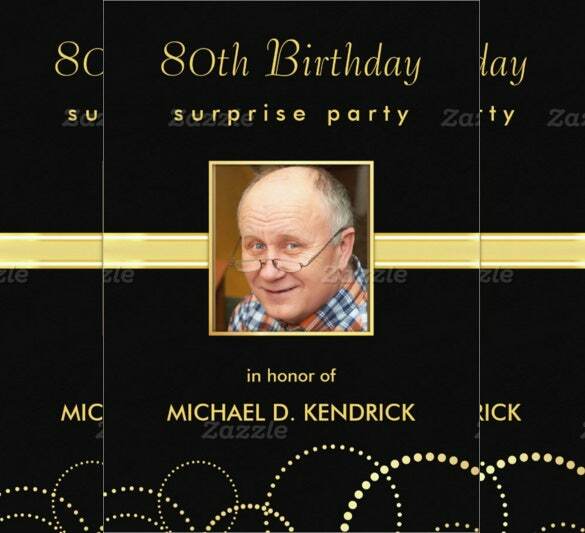 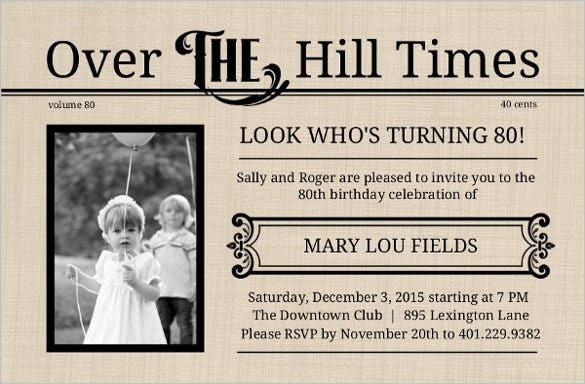 You can also see Surprise Birthday Invitation Templates. 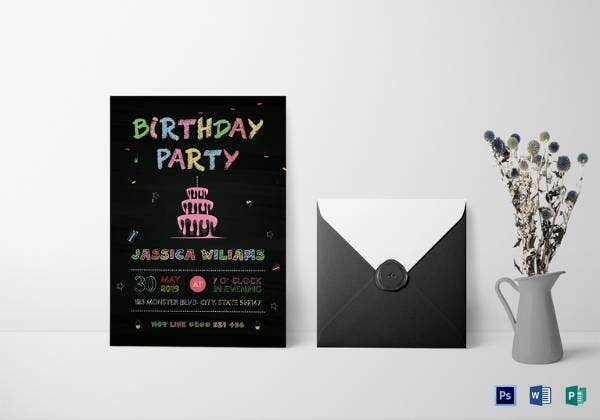 While printing the birthday invitation card you should take care of the format and in this respect; you can go through an example that would be helpful to deal with the entire procedure without any intricacies. 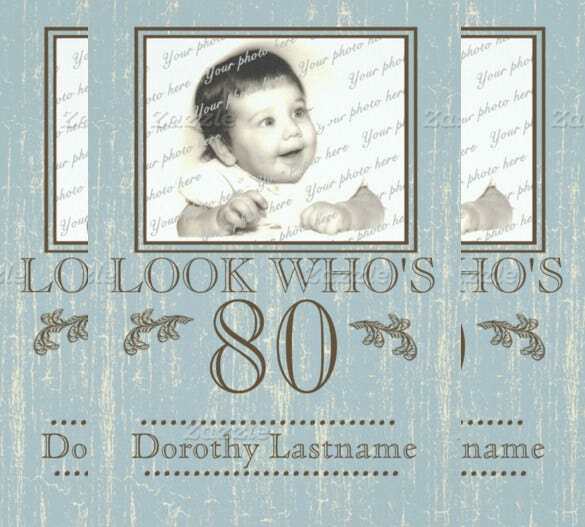 Overall, you can have fun with all your family members that you would remember lifetime.